You can change the color of a data series so that it stands out more. You do this in the Layer Pane. 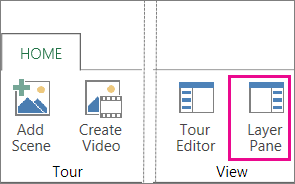 Click Home > Layer Pane. Pick the layer containing the data series you want to change. 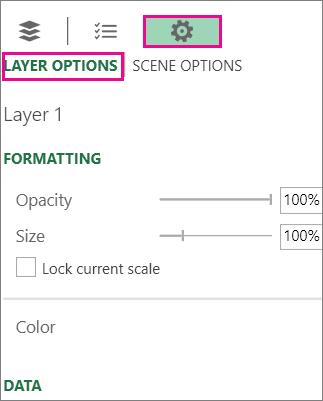 Click Settings, and click Layer Options. Under Color, click the down arrow in the first box and pick the data series you want to change. Click the down arrow in the color box and pick a different color. 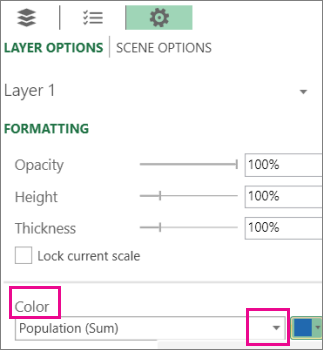 Tip: To create your own color, click More Colors and then mix your color in the Color box.